You could forgive Maria Schneider’s legion of fans for drumming their fingers a bit while waiting for the celebrated composer and bandleader’s latest album to drop. But given the brilliance of the music on The Thompson Fields, which was released today and will be feted this week at Birdland in New York, all should be forgiven. Schneider’s last album, the stellar Sky Blue, was released in 2007. 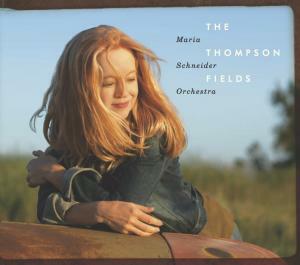 Eight years later, The Thompson Fields, Schneider’s eighth album released in just over two decades, finds her once more making profoundly beautiful music that sounds completely and remarkably her own. The music is uniformly gorgeous, exciting and full of honest emotion, lush and smart. Furthermore, some tracks are simply unsurpassed when it comes to evoking the simultaneous intimacy and majesty of the wide open American prairie where Schneider grew up.